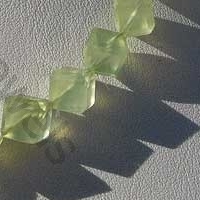 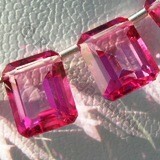 Have you ever dreamt of wearing faceted cube shaped beads? 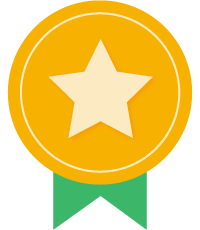 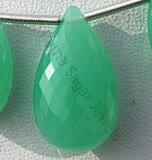 Well, Ratna Sagar Jewels has made it a reality. 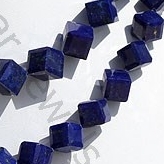 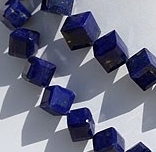 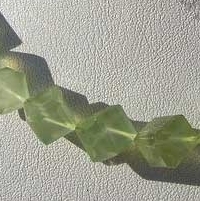 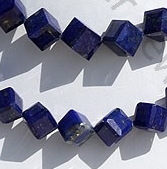 We are proud to introduce the classic faceted cube shape gemstone beads. 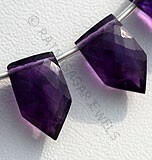 Now you can get your favorite gemstone in a faceted cube shape. 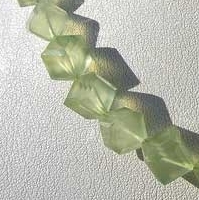 Impress everyone by wearing our three dimensional, six square faces, eight vertices point, and twelve edges cubic gemstone. 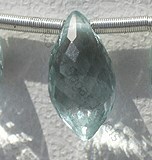 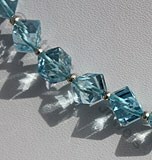 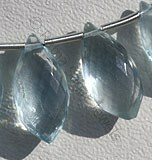 Take a look at our faceted cube shape Blue Topaz beads, a necklace made of it looks simple stunning. 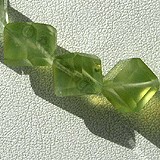 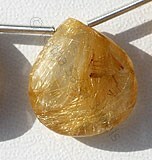 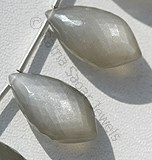 The other top selling faceted cube shape includes Smoky Quartz, Lemon Quartz, Lapis Gemstone etc. 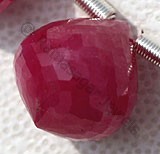 You can choose any gemstone, we will happily customize it. 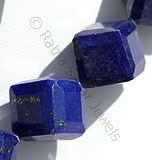 The raw material of the gem is selected. 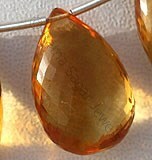 It is carefully worked using cutter machines to extract the clearest portions. 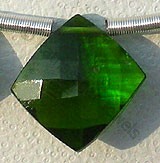 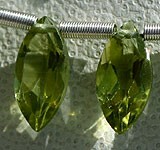 The gemstones are micro cut to bring out the perfect shape. 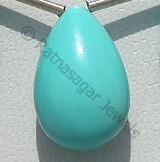 The process of shaping is done using Ghaat Machine. 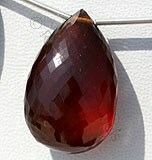 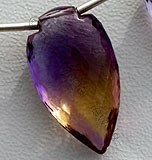 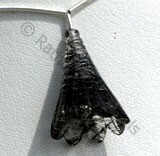 Once the shape is acquired, it is faceted and polished using Parsan machine. 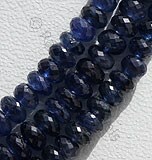 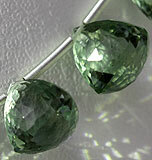 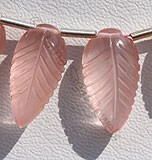 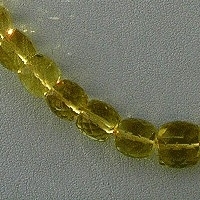 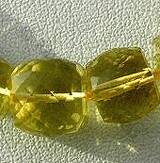 Next, faceted beads are molded vertically or horizontally as per customer requirements. 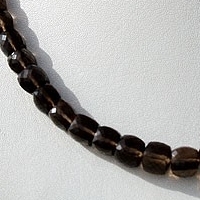 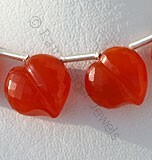 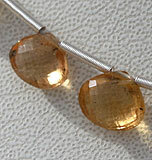 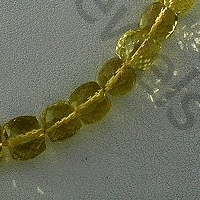 Lastly, beads are polished and drilled using a wire that ranges between .40mm to.50 mm. 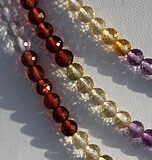 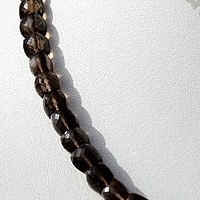 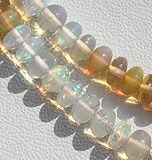 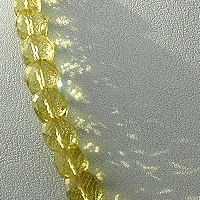 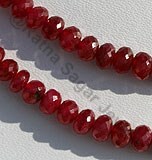 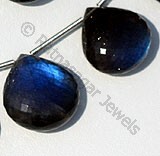 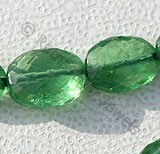 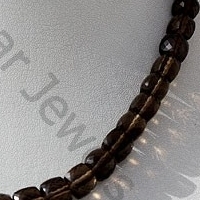 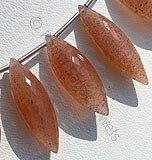 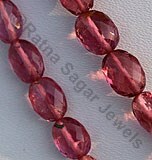 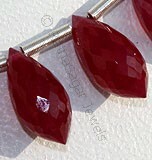 Finally, AAA quality gemstones are handpicked to create beautiful strands that are 8 inches to 16 inches long. 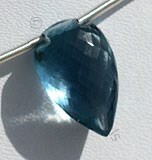 Blue Topaz Gemstone is irradiated and heat treated with colorless natural transparent Topaz to produce a more desired blue, with vitreous luster and are available with sky blue color in micro cut, Cube Shape.